Anna Shelley is an artist based on the Mornington Peninsula, Victoria. 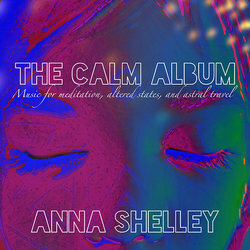 Known as a complete concept of music, meditation, and musings, Anna Shelley spends her time living by this concept as an art form. All her music is improvised in one take, after setting an intention for the meaning or expression to be conveyed. Classically trained on the flute, Anna ditched the formality and rules of the game, and set off to explore improvisation in the only way that she could - completely free, and unlike anything else, making her music difficult to categorise. Think: Meditative, ambient, dreamy, and expansive.